Plays On SACD Players Only! !Stereo SACDLimited No. Edition1. Mediterranean Sundance / Rio Ancho.. Hybrid Stereo SACD1. Mediterranean Sundance / Rio Ancho2. Short Tales of the Black Forest3. Frevo Ra.. Hybrid Stereo SACD01. Tenderly02. Fool on the Hill03. Norwegian Wood04. Silver Dream05. Window Taps0.. Hybrid Stereo SACD1. Ben's Blues2. The Man I Love3. My Nephew Bent4. How Long This Has Been Going On.. Hybrid Stereo SACD1. Touch of Your Pips2. When Your Lover has Gone3. Bye Bye Blackbird4. How Deep Is..
1. Bulgogi (6:00)2. Shadow Dance (7:07)3. Ain’.. Hybrid Stereo SACDMade in Japan1. If You Love Me (Really Love Me)2. Always On My Mind3. Feelings4. W.. Hybrid Stereo SACDMade in Japan1. When the World Turns Blue 2. Change The World 3. La Vie .. 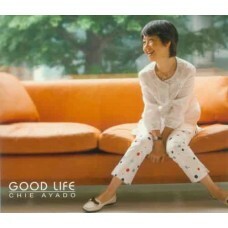 Hybrid Stereo/Multi-Channel SACDMade in Japan01． Ooh Child	02． Feel Like Makin' Love	03． Ain't No Su..
1. This Love 2. Ocean Deep 3. Stay with Me 4. True Colours 5. Follow M.. Hybrid Stereo SACD1. Maria2. Sunday3. Hanid4. Honey Flower5. Nabob..
1. Blue Rondo A La Turk2. Strange Meadow Lark3. Take Five4. Three To Get Ready5. Kathy's Waltz6. Eve..